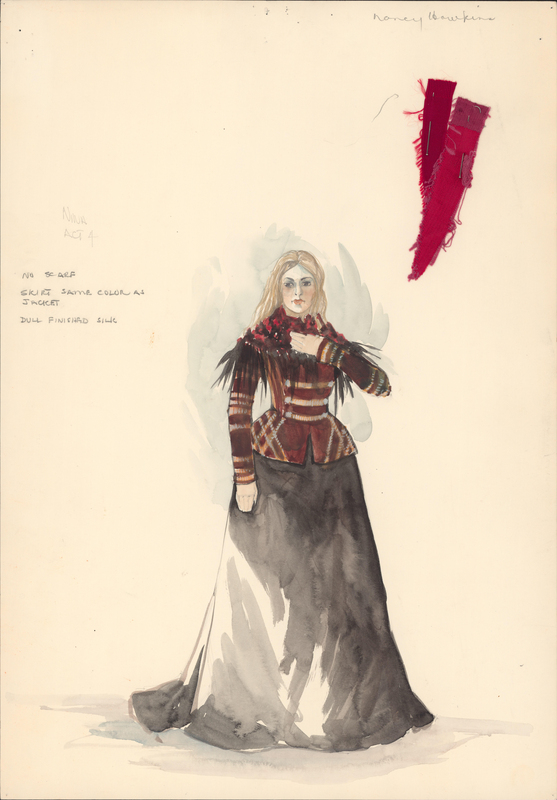 Item is a sketch of a costume design for Dalhousie Theatre's 1979 production of The Sea Gull. The sketch is executed in watercolour and gouache. The costume is for a character named Nina to wear in Act IV. The sketch shows a female figure wearing the costume. There are fabric swatches pinned to the sketch.